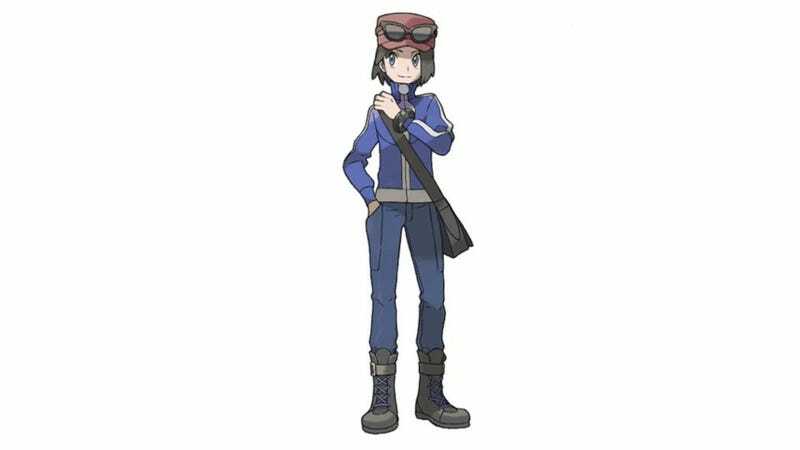 This is the new male Pokémon trainer for the upcoming Pokémon X/Y. His legs are long—too long. Don't believe me? Here is a comparison (via Twitter user Twillcoco) of Pokémon X/Y's male trainer and the male trainers from Pokémon Black & White and its sequel. The trainer's legs do look kinda long in the game, too! Twillcoco even has a cute little cartoon with the new trainer: He's riding either a bullet train or an airplane, and apologizing for accidentally kicking the seat in front of him. The little sign says, "No matter how long your legs are, don't kick the seat in front of you. Mind your manners." Words to live by.